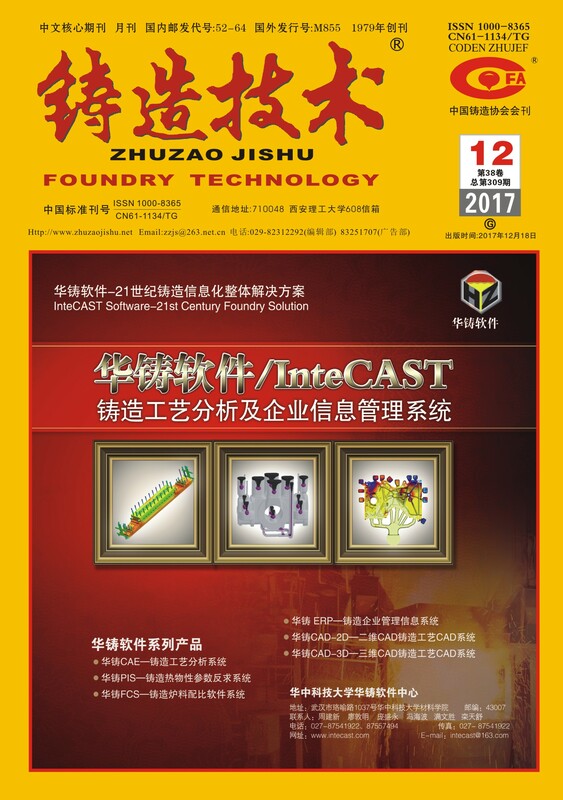 英文摘要：Using medium frequency induction furnace smelting, as-cast high strength and high elongation Y block castings of synthetic ductile iron were prepared by the main burden of scrap steel and raw materials pure iron, Cu, Ni alloying, high quality recarburizer carburization, respectively by the method of bell jar furnace pretreatment and spheroidized, inoculating treatment with ladle pouring process，and pouring shell mold of resin sand. Results show that the graphite spheroidizing level is grade 2 and graphite size is grade 7. The microstructure of the matrix is small, and it is a pearlite-ferrite mixed matrix, in which the content of pearlitic body is 65%. The tensile strength and elongation of as-cast synthetic ductile iron reached 763.0MPa and 11.2%，respectively.